Fancy a few nights away, breakfast included, sleeping on camp beds with the angels, in a quiet rural location, with well-behaved dogs and children welcome? If all this appeals, a new experience is on offer from 1 May to 30 September at St Michael the Archangel, Booton. 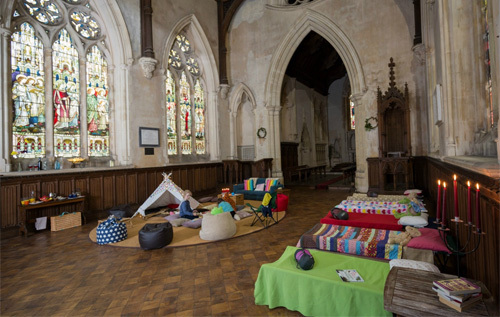 This is “champing” – camping in a redundant church (not what horses do). “Relax in quiet comfort and snuggle down in a truly ancient place,” suggests the website. The cost per night is £55 per adult and £20 per child, with group rates available (eight people or more), and there is no price increase in the school holidays. The price includes a “glorious cooked breakfast”, which is served at the Dial House in nearby Reepham. The property will generally not be available before 3 pm on the first day of the booking and guests must leave before 11 am on their last day. “Champers” get exclusive use of the church, although they will need to bring their own pillows and bedding. You might ask, will there be any heating? And the answer would be, no. And, ahem, what about the facilities? That would be the EcoLoo (compost toilet) outside; this is sustainable tourism – no baths/showers or running water! 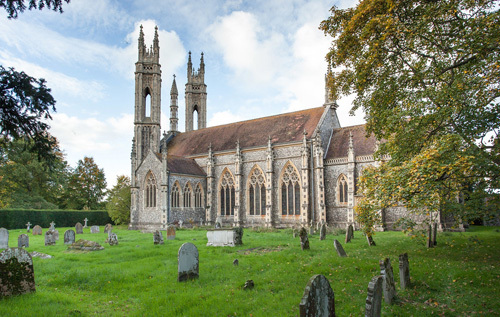 The Grade II*-listed building in Booton, unused as a church since 1987, is among 347 in England under the care of the Churches Conservation Trust, which is trying to find imaginative ways to bring people back inside them.